You created a Superset bar chart view of some of the data and a table view of some other data. 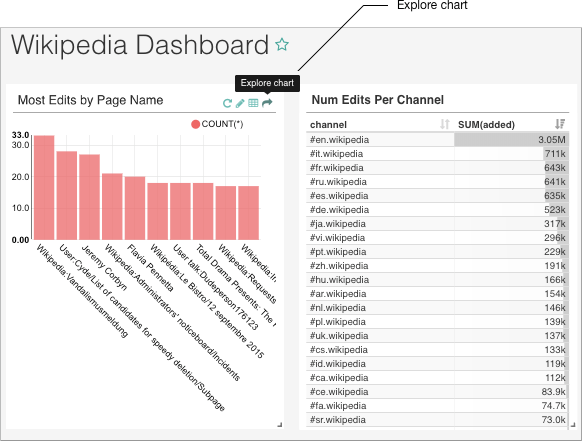 Click Dashboards > Add a New Record , enter a title: Wikipedia Dashboard, for example. 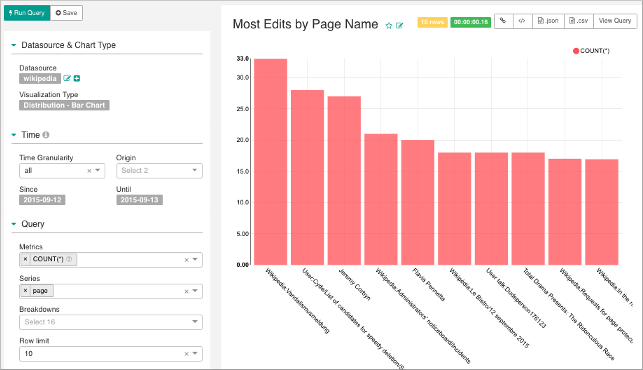 In Charts, browse to and select Superset results of queries you saved. For example, select the bar chart and the table view Num Edits Per Channel. Click Save. 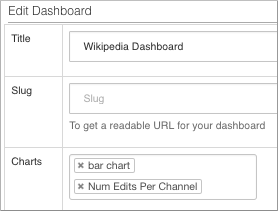 In the Superset navigation bar, click Dashboards, and then select Wikipedia Dashboard. On the bar chart, click Explore the Chart. The Data Source & Chart Type dialog re-appears. You can view or edit the definition of the chart.